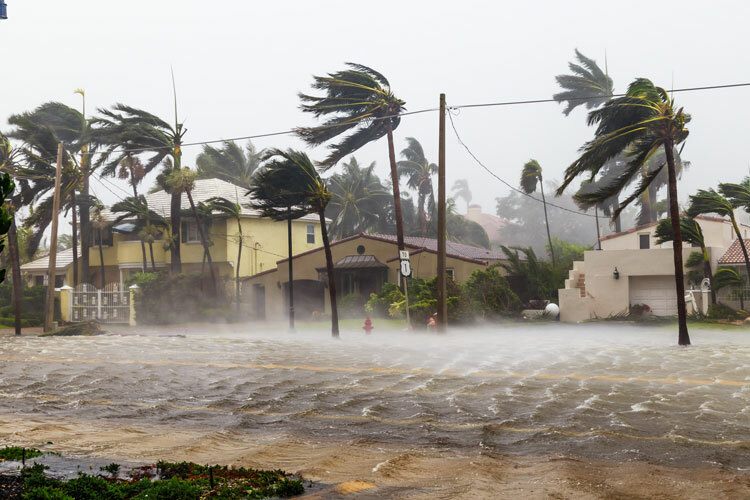 As a record-setting hurricane season retreats from memory, the American Shore & Beach Preservation Association (www.asbpa.org) recommended that coastal communities hold on to the following lessons as they prepare for future years. Building higher, stronger and further back always pays off — While there’s not much you can do in the face of a landfalling Category 4 hurricane, your best chances for coastal survival otherwise still improve when your structures are built back from the active wave zone, built to the highest standards available and raised up enough to minimize flooding. You have as much to fear flooding as a result of rainfall as you do from flooding from storm surge — While forecasters rightly focus on the dangers of storm surge due to its threat of imminent danger, they often overlook flooding from rainfall and runoff with its threat of long-term disaster. And that is not just with a rainfall-intensive storm such as Harvey, where the bulk of the damage occurred sometimes days after hurricane landfall as flooding from intensive rainfall continued to rise. In any storm with any significant precipitation, all that water needs to find its way to the coastline… and that, too often, is when coastal residents and businesses face the truly greatest threat. We need to re think many parts of our storm preparedness protocol — Let’s pick just three areas: threat description, storm surge prediction and flood risk. The term “100-year storm” rings hollow once you endure three such storms over a five-year period. So we may need to remind residents that this level of catastrophic calamity has a 1% chance of happening every year (saying the same thing in a different way) — or work to find a new way of naming threats altogether. Predicting storm surge incorporates a lot of moving parts, with the eventual surge level dependent on a number of factors that can change in an instant. That means predictions needs to err on the side of caution… but forecasters also need to educate the coastal public to understand that variability, so that unduly dire predictions don’t inspire a “cry wolf” response from the public in future storms. And, as mentioned above, storm flooding spreads far beyond the wave zone and low-lying barrier islands. Flood waters seek their own way, and can decimate anything in their path… so a better understanding of flooding pathways from excessive rainfall and who might really be at risk needs to be better understood before the rains start to fall. Resilient design is crucial to community survival and recovery — Coastal resilience focuses on a community’s ability not just to survive a disaster such as a hurricane, but how fast it can recover from that disaster — either by effective designs to minimize damages or quick-response plans to mitigate them. And after this storm season, every coastal community should be looking at the status of its resilience… from infrastructure to planning to shoreline protection to flood preparation, and much more. There are a variety of resources available to help communities begin their own assessment (and understand their own issues), as well as to help coastal residents, businesses and property owners educate themselves on the issues and options. Each coastal community is unique and, thus faces its own unique resiliency issues. Many of the steps to identify how to increase resiliency will be shared between communities but the solution on how to increase resiliency will be different from community to community. So, there is no “one size fits all” solution, but rather an assessment array and tools to help those communities identify issues, weaknesses, strength and solutions. There simply is no good reason not to begin the process. You still can’t beat wide beaches and high dunes for storm protection — Ultimately, the best solution for storm protection (besides being prepared, of course) is wide beaches, high dunes and well-built and sited structures, at least for coastal communities. Wide beaches keep storm waves at bay from upland structures and infrastructure; high dunes help lessen storm surge and the potential for coastal flooding and damage; and well-built and sited structures are more likely to be standing (and, hopefully, dry) after the storm passes. There may be myriad other storm-related issues that a community must grapple with – aging infrastructure, a vulnerable power grid, disappearing flood flow-ways, even how to handle vegetation debris effectively. But wide beaches, high dunes and proper construction is simply a great place to begin your community’s storm preparations and pace of recovery.